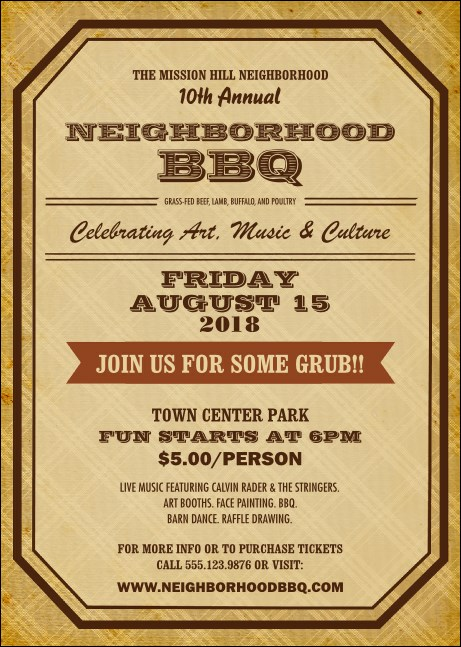 Celebrate BBQ season with the whole neighborhood when you advertise in advance with BBQ Vintage Logo Club Flyers. Featuring enough space for two image uploads, you can show off your sponsor logos or showcase featured guests on a tan plaid background with brown accents and distressed edges. Fire up your attendance numbers with BBQ event promotions from TicketPrinting.com.